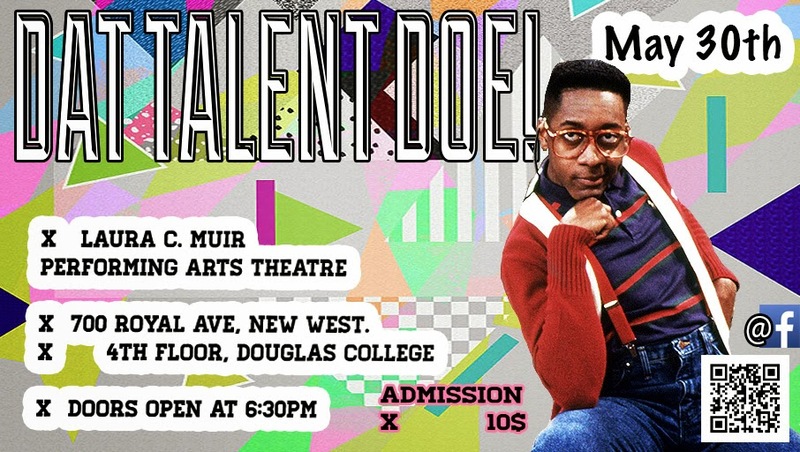 The Douglas College Hip-Hop Club is bringing a lineup of dancers, singers, stand-up comedians and other talent to the stage. The Dat Talent Doe! showcase will feature performances from college students, hip-hop club members and local dance crews. Established in 2009, the Douglas College Hip-Hop Club hosts weekly fun dance classes on campus led by a variety of choreographers. During the showcase event, club members will present a dance performance that reflects the stages of life: childhood, adolescence and adulthood. Dat Talent Doe! takes place in the Laura C. Muir Performing Arts Theatre on the New Westminster campus on Friday, May 30 at 5pm. Tickets are $10 and available from club members or at the door. For more information, visit the event's Facebook page.